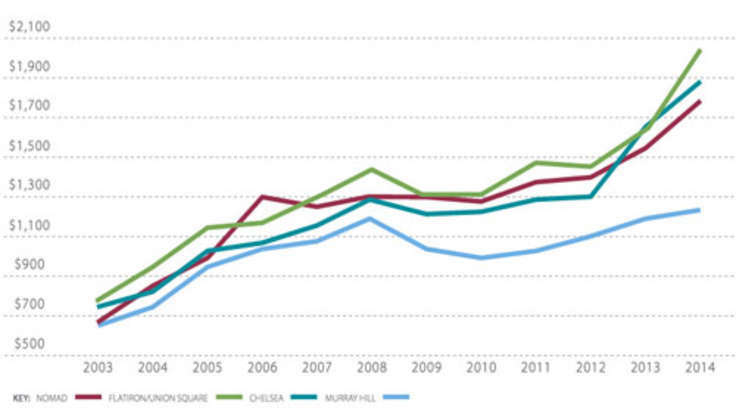 Fully-stocked gyms, yoga rooms, saunas and spas aren't big news at top New York City apartment buildings. 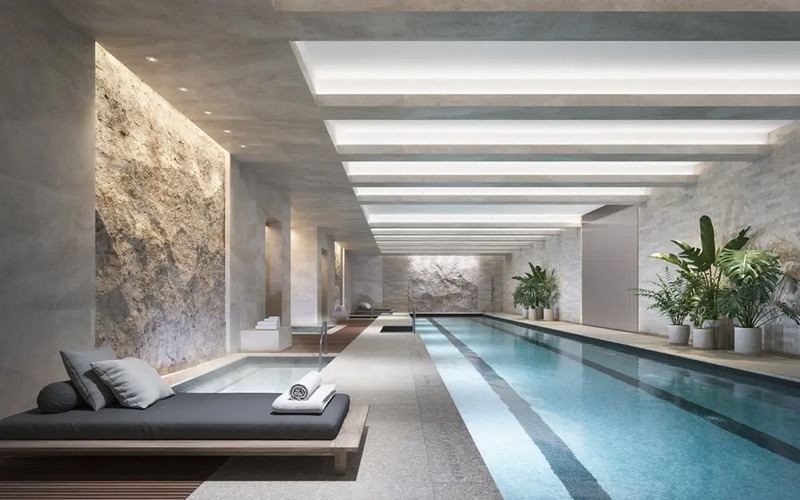 But some new residences are raising the bar and spinning the compass on pampering with perks like Turkish hammams, Finnish saunas, hydrotherapy centers, treatment and procedure rooms and more. 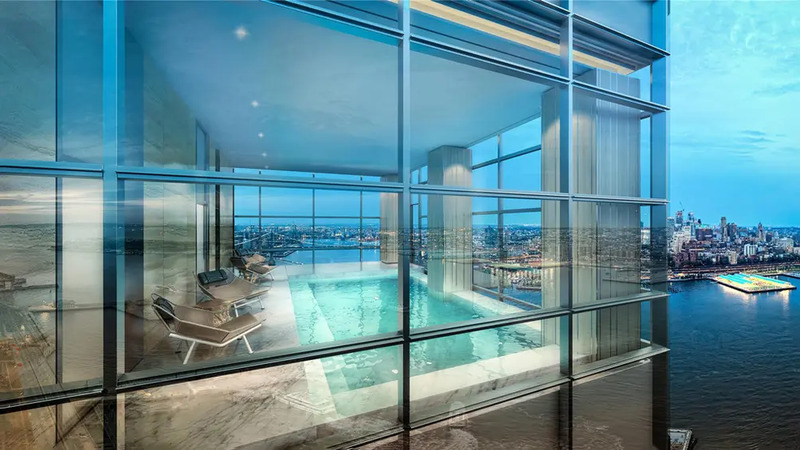 This lower Manhattan tower boasts The Water Club, a "restorative hydrotherapy circuit" with a floating glass edged infinity pool, a digitally activated rain shower, a relaxation lounge and glass enclosed steam and sauna retreats that occupy the building's entire 30th floor. 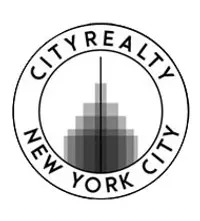 This aquatic paradise is surrounded by views of New York Harbor and downtown Brooklyn. If you'd rather get physical on dry land there's a fitness center with studios for spin, yoga and personal training and a fitness concierge for on-call sessions. 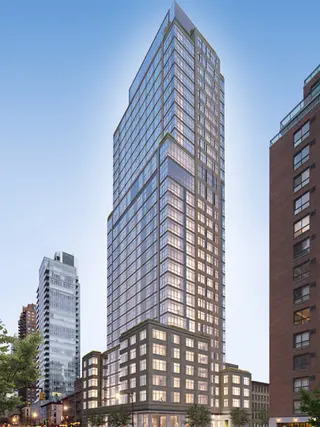 This Upper East Side condo offers so much to do within its walls its residents will never want to venture outside. Examples include The Sound Lounge by Lenny Kravitz, The Garden Salon residents' lounge, a catering kitchen, Camp Kent children's playroom and outdoor children's play area. 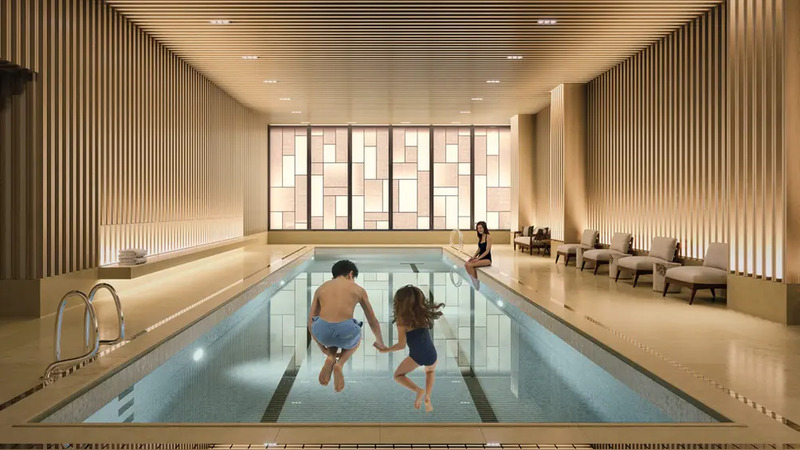 The building's fitness and wellness offerings include a 55-foot heated indoor pool and a state-of-the-art fitness center with Finnish saunas. Fido isn't forgotten: There's even a dog spa. 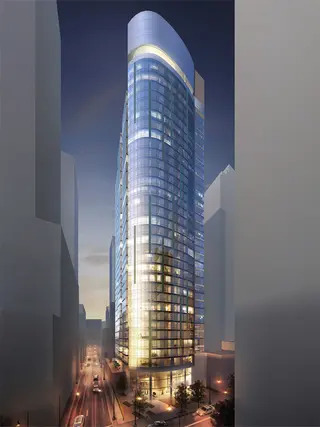 This new downtown Manhattan tower just north of the World Trade Center is very visible on the skyline from uptown; fortunately it's one of the city's more graceful additions. 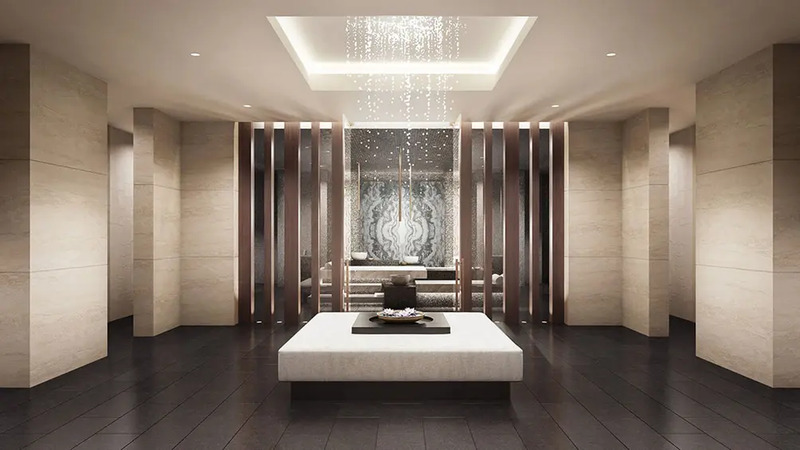 The David Rockwell-designed lobby with anodized steel walls, hand-blown glass lighting and travertine floors is a hint of what's in store for residents. 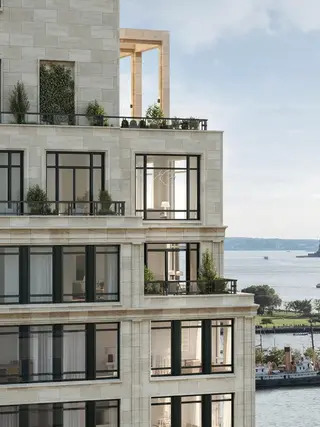 The building's aim is to provide an "immersive, restorative experience" which includes a hammam as the centerpiece of a spa area with heated, sculpted marble beds and carved sinks for a modern take on the traditional Turkish bath. Also on hand are treatment rooms, saunas and a hair salon.